I’m really excited about this week’s Radical Doula, because I had the pleasure of working with Poonam when she was part of the leadership circle of the NYC-based Doula Project. Poonam is an incredibly warm person, an fabulous doula, and a dedicated social justice leader. Poonam Dreyfus-Pai is a researcher, advocate, and full-spectrum doula. She is the co-director of the Bay Area Doula Project, and came to the organization after volunteering for 2 years as an abortion doula with its sister NYC-based organization, The Doula Project. She is currently a graduate student in the concurrent MPH/MSW program at UC Berkeley, with concentrations in Maternal and Child Health, and Management and Planning of Social Welfare Services. Since February 2012, she has been an intern in the Sea Change program at ANSIRH (of UCSF’s Bixby Center), where she researches women’s disclosures of pregnancy experiences and abortion stigma. Poonam is grateful to be a part of the Bay Area’s vast network of organizations dedicated to reproductive justice. She works to cultivate a social environment that is supportive of all people’s sexual health choices and experiences, and is honored to continue her work as a full-spectrum doula with the BADP. Check out the BADP here. I didn’t known anything about doulas until I came across The Doula Project (then The Abortion Doula Project) in late 2008. When I learned about the support that doulas offer in birth, it seemed obvious and natural to extend that compassionate, continuous presence to people having abortions. I was excited about the possibility of being that supportive presence, and of bearing witness to people’s strength and wisdom during their abortion experiences. Joining The Doula Project in 2009 opened me up to the amazing world of full-spectrum doulas, and remains one of the best decisions I have ever made. “Radical” work, to me, means work that is built around justice and inclusivity. 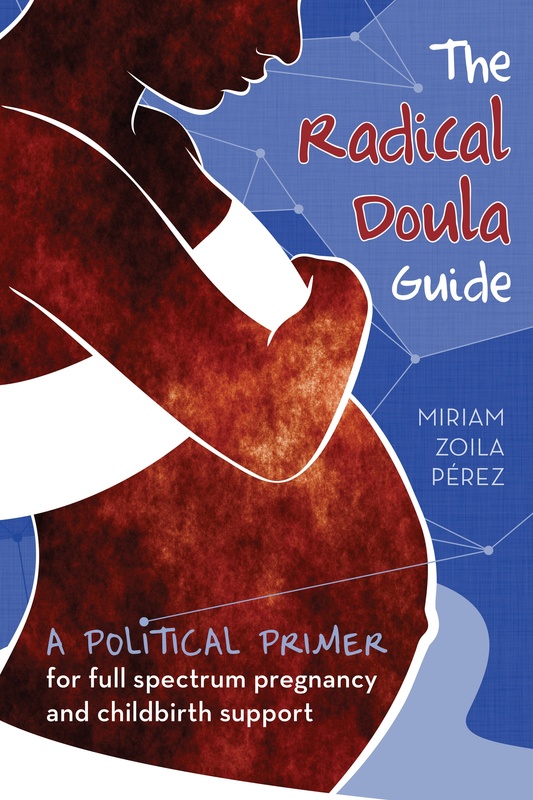 I think of radical doulas as working to expand the system, to help all people have empowered and supported pregnancy experiences, regardless of pregnancy outcome, individual income, immigrant status, incarceration status, language capacity, gender, etc — the list is endless. My work as a full-spectrum doula feels radical and transformative because in each individual act as a doula, I am helping people understand that they deserve to be met with compassion, and to receive the highest quality of care, regardless of where they land on the spectrum of pregnancy. We are not only bearing witness to people’s pregnancy experiences; we are learning from their stories. We are creating changes in how people think of these experiences and how they see themselves as empowered agents within them. What I find so incredible about full-spectrum work is its potential to break down stigma. Stigma and silence exist across all pregnancy experiences, and there are so many niche services that exist out there to provide support: for people choosing adoption, people who have miscarried or experienced fetal loss, people who’ve experience adverse birth experiences, and people who have had abortions. The work that these organizations do on a regular basis is amazing and vital, but I would love to see this care taken one step further. If we can recognize that a person may experience many different pregnancy outcomes throughout one lifetime, then why should these services be separated or different from one another? Why can’t people expect the same quality of care from the same support providers each time they experience a pregnancy? When we treat these experiences as though they are not related or relevant to one another, we (consciously or not) create hierarchies, signifying that some experiences are more important and/or more deserving of support than others. Full-spectrum doulas work to eliminate the silos that exist around these experiences, and bring them together under one umbrella. I see this work as vital to changing our reproductive health culture, and want it to be replicated, not just through the ever-expanding network of full-spectrum organizations (whoo hoo! ), but among all health care providers. Working directly with people having abortions, hearing their stories, holding their hands, simply being with them during this incredibly personal moment in their lives — this has always at the top of the list. These days, though, I am also becoming more and more psyched about building a full-spectrum community, both in the Bay Area and nationally. I have been really lucky to have worked with the Bay Area Doula Project since I moved to Berkeley in August 2011: it is an organization of committed, innovative, and energetic doulas, who are constantly bringing new insight and ideas to the table. I am inspired by them and grateful to them — they have made co-leading the BADP a really fantastic experience. I am so excited for all the new projects we have in store for 2013. I came to this work on a slightly different trajectory than most of the doulas I know, having started with abortion work and only recently picking up birth work. As such, I’ll talk about abortion rather than birth, since this is where most of my experience has been. I would love to see abortion support as something that doesn’t just get afforded to clinic patients who seem more “emotional.” I would love it to go from being “something extra” to something integral to the abortion experience. I think the Bay Area has pretty a high quality of abortion care, but, even here, there is this pervasive idea that doulas aren’t necessary for most women. It really undermines all the potential benefits doulas can provide to all people having abortions. Research is showing that what people want in a clinic experience is better pain management and a more supportive clinic environment, and these are things that doulas are uniquely qualified to provide. Just as we say that all people deserve birth doulas, and can benefit from them, so, too, can all people benefit from abortion doulas. And if we keep pushing forward, I believe that this change can happen.